Japan is the third largest economy in the world, only recently slightly eclipsed by China, which is now number 2 in terms of GDP. Though Japan also has large external assets that in part offset its massive sovereign debt (including U.S. Treasuries! ), its worsening demographic situation along with government paralysis creates a grim trajectory for its sovereign debt. The Moody’s rating downgrade, on top of S&P lowering its rating on U.S. government debt, tied in with the worsening debt crisis in Europe, points to an escalation in the global sovereign debt crisis, with economic ramifications that can only be highly negative. 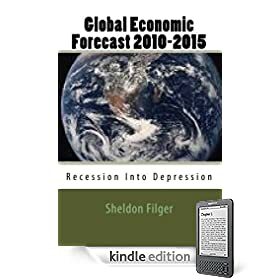 It is no longer a small group of prognosticators (including this blog) who are expressing grim thoughts on the trajectory of the global economic crisis. More and more, respected authorities on global finance and economics are weighing in with their dire predictions. Nouriel Roubini openly asks the question, “Is Capitalism Doomed?” Pimco’s Mohamed El-Erian indicates that the bond markets are pricing in a double-dip recession. Equities trading in bourses throughout the world are experiencing levels of volatility not seen since the onset of the crisis in the summer and fall of 2008. It is now just a remnant of pundits who still believe that the global economy “recovered” after the reckless expansion of sovereign debt following the collapse of Lehman Brothers. These proverbial neo-Keynesian optimists have chosen to shut their eyes and cover their ears. But others who can sense what is happening in advanced and major developing economies know that we are in the midst of something that does not have a positve ending. The words of Zoellick reflect unusual candor from a high level policymaker involved in global economic activity. In essence, he confirms what my blog has been stating for many months; the empirical evidence suggests that the political actors in the major advanced economies are utterly inept when it come to economic and fiscal policy, and their collective incompetence is sending the whole world over a cliff. 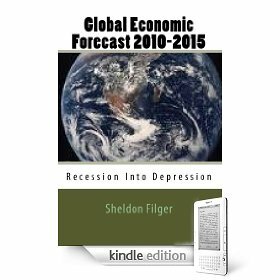 In 2009, I published a short book entitled “Global Economic Forecast 2010-2015: Recession Into Depression.” At the time I made my original forecast, sovereigns across the globe were accumulating massive levels of public debt, unprecedented in economic history, with supposedly two objectives in mind: 1. stabilize the world’s banking and financial systems, which were in danger of total collapse after the implosion of Lehman Brothers and the near extinction of other investment banks; 2. compensate for a fall-off in private sector demand through stimulus spending in order to halt the free-fall contraction in GDP. The policymakers cheered their actions, which essentially transferred the bad debts of the private sector onto the publics’ balance sheet, and created a new modality in sovereign fiscal policy, which I named “structural mega-deficits.” I did not share the optimism of the policymakers in the United States, United Kingdom and across the Eurozone. The premise of my forecast was that this massive rise in public debt to GDP ratios among the advanced economies would at best buy, at very high cost, a short period of stabilization at a level below peak economic performance. Eventually, however, the level of sovereign debt would exceed the capacity of the afflicted economies to sustain, leading to a full-fledged sovereign debt crisis towards the latter part of 2011. This would precipitate, by 2012, a global economic depression. The current developments involving the European debt crisis, downgrading of U.S. government debt by S&P and the volatility in the equity markets are tracking to a high degree of exactitude my original forecast, dating from 2009. If these developments continue to track as I expect, my prediction of a global economic depression by 2012 is a virtual certainty. Is it possible for my forecast to be wrong? Obviously, any prediction about the future can be incorrect, or distorted by unforeseen events. However, one important factor makes my forecast more likely to be proven correct than in error. Unlike the original global financial crisis of 2008, policymakers and central bankers across the globe have largely run out of policy bullets. They lack the fiscal integrity or capacity for further debt expansion to underwrite massive levels of new borrowing required for future bailouts of banks, financial institutions and especially larger sovereigns such as Italy and Spain, not to mention the U.S. and U.K. and possibly Japan. The recent announcement from Federal Reserve Chairman Ben Bernanke that a zero interest rate policy will be maintained for at least another two years is a clear signal that the policymakers realize that their wild gamble with fiscal and monetary policy has failed, and they are baffled as to what options remain for them to exercise. Markets are beginning to render their own assessment on the results wrought by the policymakers since the origins of the current global economic crisis. The failure is not only on the level of fiscal and monetary policy. As strongly inferred in the downgrade of U.S. government debt by ratings agency Standard & Poor’s, the democratic political system in the United States, and by extension in the U.K. and Eurozone, has been rendered dysfunctional due to general ineptitude, economic ignorance and ruinous internecine political conflict. With a failure of both policies and leadership, I see no hope for preventing an inevitable global economic catastrophe, the likes of which has not yet been witnessed on this earth. For the first time in its history, the United States has seen its sovereign debt downgraded by a major credit rating agency. S&P lowered its grading of U.S. government long-term debt by a notch, from AAA to AA +. Predictably, the Obama administration is attacking the rating agency, accusing it of mathematical errors, similar to the reaction of Eurozone politicians when ratings agencies cut the rating of insolvent sovereigns. American financial pundits are also attacking this unprecedented decision by a major ratings agency as “premature,” while boasting that Moody’s and Fitch have thus far held their AAA rating of American debt. The days when the debt-ridden Uncle Sam could leisurely squander unlimited overseas borrowing appeared to be numbered as its triple A-credit rating was slashed by Standard & Poor’s (S&P) for the first time on Friday. Though the U.S. Treasury promptly challenged the unprecedented downgrade, many outside the United States believe the credit rating cut is an overdue bill that America has to pay for its own debt addiction and the short-sighted political wrangling in Washington. Dagong Global, a fledgling Chinese rating agency, degraded the U.S. treasury bonds late last year, yet its move was met then with a sense of arrogance and cynicism from some Western commentators. Now S&P has proved what its Chinese counterpart has done is nothing but telling the global investors the ugly truth. China, the largest creditor of the world’s sole superpower, has every right now to demand the United States to address its structural debt problems and ensure the safety of China’s dollar assets. To cure its addiction to debts, the United States has to reestablish the common sense principle that one should live within its means. S&P has already indicated that more credit downgrades may still follow. Thus, if no substantial cuts were made to the U.S. gigantic military expenditure and bloated social welfare costs, the downgrade would prove to be only a prelude to more devastating credit rating cuts, which will further roil the global financial markets all along the way. Moreover, the sputtering world economic recovery would be very likely to be undermined and fresh rounds of financial turmoil could come back to haunt us all. The U.S. government has to come to terms with the painful fact that the good old days when it could just borrow its way out of messes of its own making are finally gone. It should also stop its old practice of letting its domestic electoral politics take the global economy hostage and rely on the deep pockets of major surplus countries to make up for its perennial deficits. A little self-discipline would not be too uncomfortable for the United States, the world’s largest economy and issuer of international reserve currency, to bear. Though chances for a full-blown U.S. default are still slim now, the S&P downgrade serves as another warning shot about the long-term sustainability of the U.S. government finances. International supervision over the issue of U.S. dollars should be introduced and a new, stable and secured global reserve currency may also be an option to avert a catastrophe caused by any single country. For centuries, it was the exuberant energy and innovation that has sustained America’s role in the world and maintained investors’ confidence in dollar assets. But now, mounting debts and ridiculous political wrestling in Washington have damaged America’s image abroad. All Americans, both beltway politicians and those on Main Street, have to do some serious soul-searching to bring their country back from a potential financial abyss. Jose Manuel Barroso, president of the European Commission, has hit the panic button. As the Eurozone debt crisis worsened, he remained among the most optimistic of EU officials, repeating his faith in the ability of the myriad of rescue packages to prevent further contagion from affecting larger European economies. But no longer. The panicky communication from the European Commission president has sparked a wave of frantic selling among stock markets across the globe, while leading gold to ascend to ever higher prices. Is the handwriting on the wall? It is becoming ever more obvious, even to the formerly sanguine politicians, that the global economic crisis never ended, and that its current phase, the sovereign debt crisis, is getting more dangerous, while the inept policymakers run out of options. Is The UK Facing A Sovereign Debt Implosion?